I’ve just returned from a lovely last minute trip to Edinburgh. I’ve never been to Scotland before and although I am nowhere near feeling 100% I decided to just grab the bull by the horns as they say and jump right in. 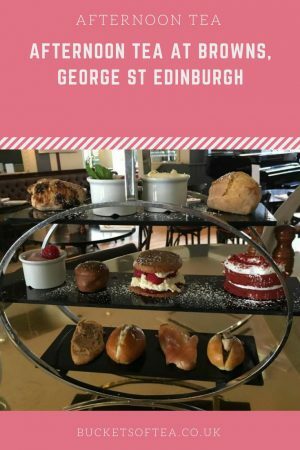 I’m in need of catching up on some afternoon teas in order to complete my afternoon tea challenge and decided I’d jump right in to the Edinburgh Afternoon Tea scene and partake in a few cullinery delights that Scotland has to offer. I was lucky enough to have 2 afternoon teas and 2 cream teas. I also sampled some of the other tasty delights Edinburgh and the surrounding areas. I’ll tell you all about those sometime soon but I’ll let you in to a little secret, I’ve eaten extremely well whilst on my Scottish Adventure. 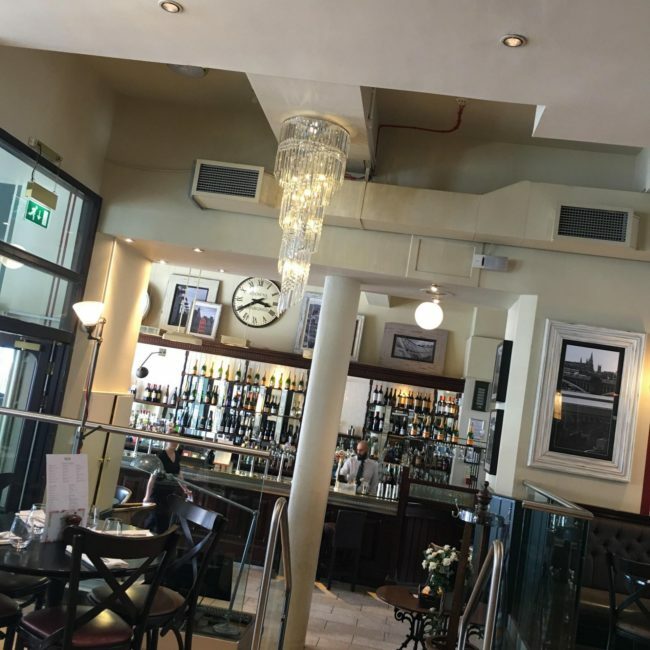 Browns is situated in George Street which runs parallel to Princes Street in the heart of the city of Edinburgh. I found it every easy to find. Browns was a lovely decorated place with a 1920s glam feel to it. My afternoon tea was at 4pm and although there were people eating and drinking in there is was very quiet but welcoming. I was seated at my table and did not have to wait long before my pot and some water were brought to me. I had made a reservation for my afternoon tea. 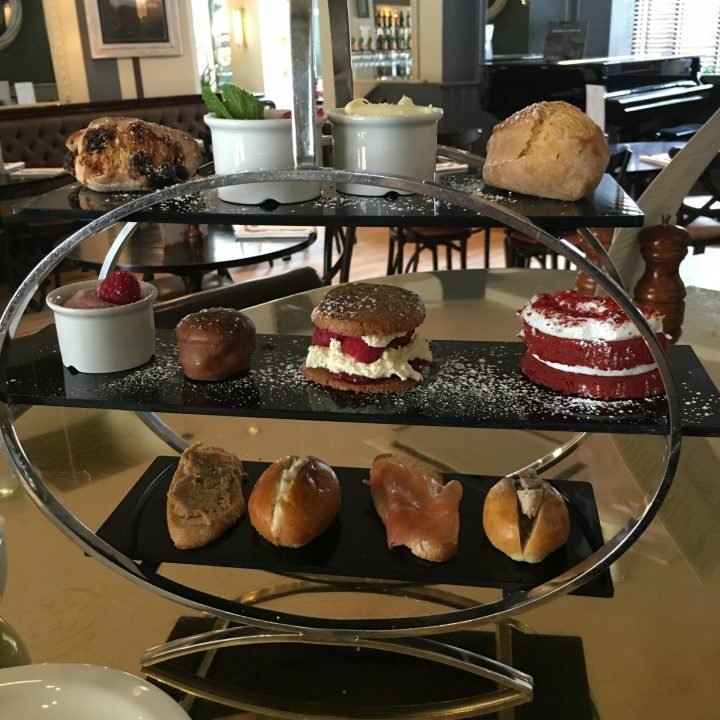 The afternoon tea was presented on a modern 3 layer slate and steel stand. I love how every place I go to for afternoon tea had a different was of presenting your food. 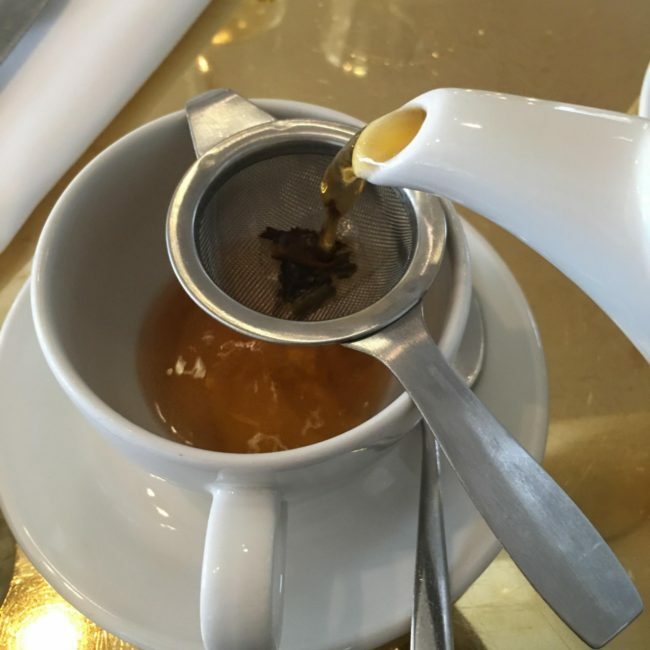 The tea was an English Breakfast tea which is what I usually choose and was delicious. I love loose tea as I find it bred better to give a much stronger taste than the same tea that is served in tea bags. Sandwiches consisted of chicken with avocado and free range egg mayo with watercress in little brioche rolls plus Devon crab and salmon with cream cheese on crostini. All were delicious. Next is my favourite part; the scones with cream and jam. 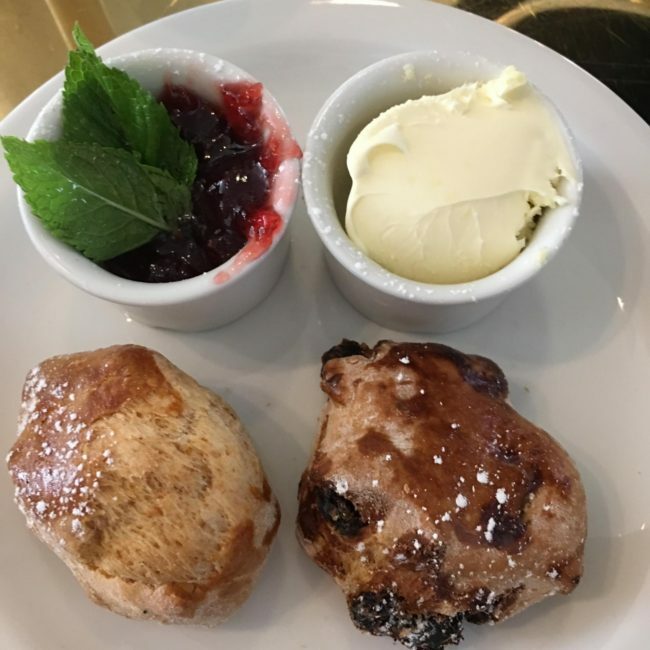 There was one plain scone and one scone with fruit. Both were lovely with the clotted cream and jam. This brings me to a question that can get quite heated in the scone world. What comes first; the cream or the jam? For me it a layer of jam then a dollop of cream. I’ve been talking about this recently on my Facebook page. What is your preference? Is it jam first or cream? Next was the selection if deserts; Salted caramel profiteroles, raspberry shortbread, red velvet cake and a black cherry mousse. The red velvet cake has to be the best I’ve ever tasted. In the middle of the restaurant is a lovely grand piano which I was told was played each evening as the dinners are. Browns is such a lovely place and had a number of restaurants throughout the country including one right on my door step in Birmingham. I’ll certainly be paying that one a visit really soon. At £13.50 this tea is amazing. It certainly sits alongside the £20 afternoon teas I’ve tried for its amazing quality. Great value for money. 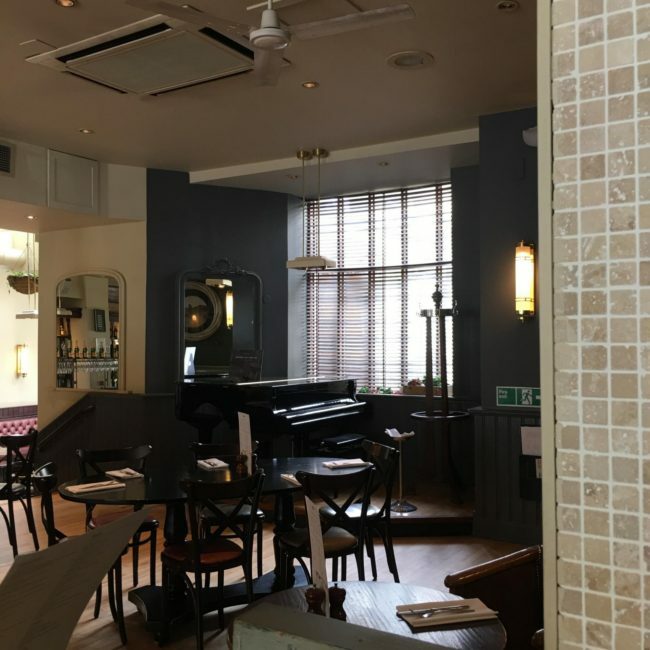 Browns also have a restaurant in Birmingham and I will certainly be paying them a visit soon if the quality of food is up to this standard for such a great price. Are you a fan of afternoon tea and do you have a favourite venue? Plus I’d love to hear if you are like me and put your jam in your scone first or your put your cream of first and dollop the jam on after. Wow, all of this looks so pretty!! I love the idea of a cute afternoon tea! I hope you had an amazing time! I love the presentation. 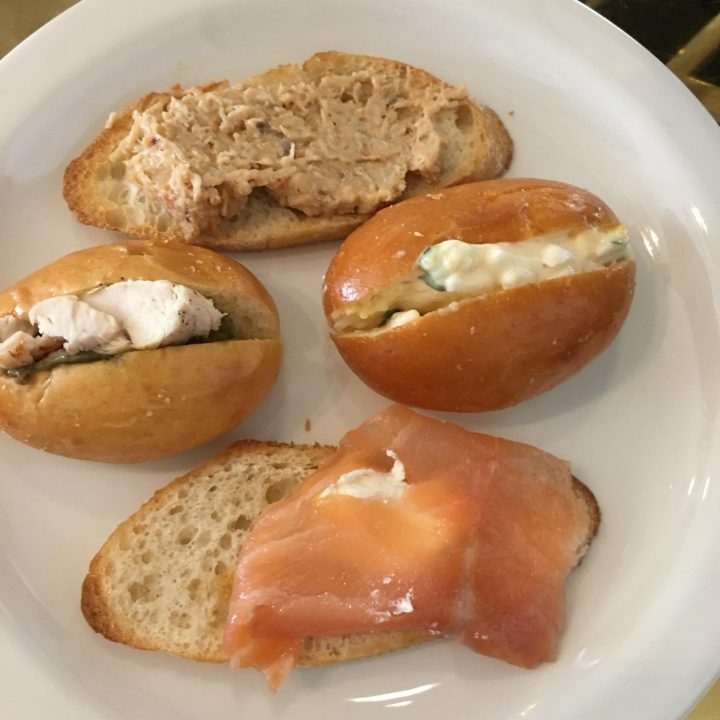 It’s nice to have an array of different sandwiches; those brioche rolls look yummy! I always put jam on and then add a little cream with each mouthful. What great value! I need to find some local places that offer afternoon tea as I’ve always liked the idea of them. M&S I think is the only one I’ve had. Debbie recently posted…Fitness Trackers for Skinny Wrists – is there such a thing? Omg this looks like the cutest place and sounds so fun! I would love to try this place someday. And your pictures are great! Such a lovely place and the way you’ve described it makes me wanna go! I’m a jam first and then cream scone person, your pictures make me want a scone right now! Those desserts look delicious!! Definitely makes me want to travel just so I can eat those! Hope you had an amazing trip! I had a great trip thanks. 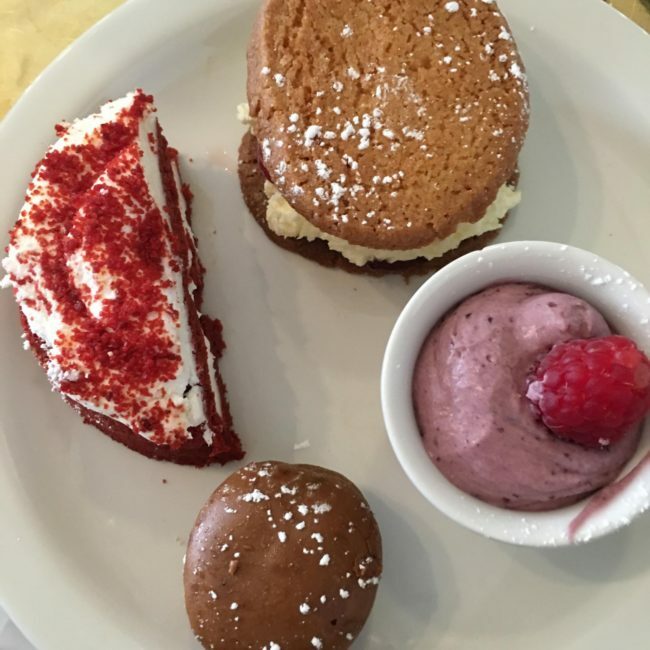 That stack of dessert and sweet treats on your table is making me drool. I can eat cakes all day, everyday. 😉 Cheers!! That looks great value. At the moment I can’t eat dairy though so I’m going to go away before I cry. I just love afternoon tea! This looks like such a lovely venue, those cakes look amazing! 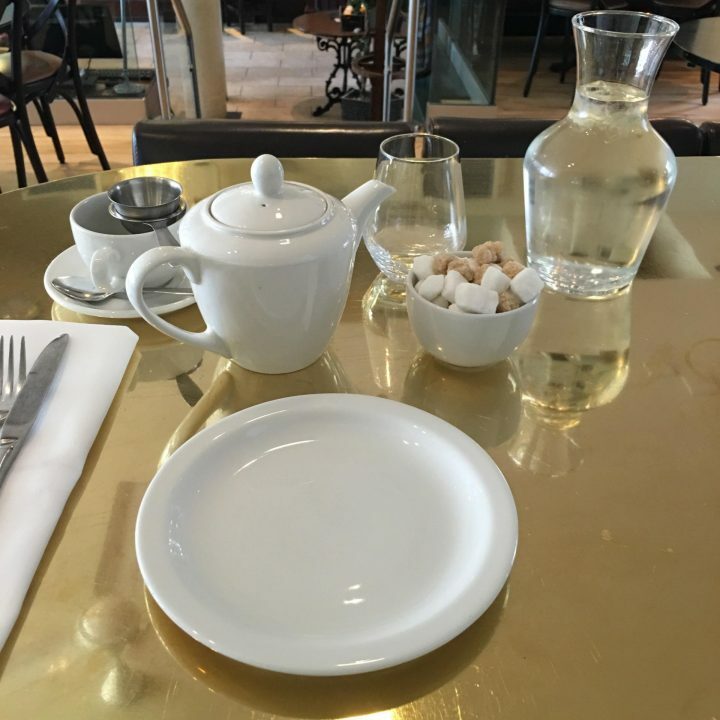 I wish we would have been able to have tea at Browns while in Edinburgh. Multiple people recommended it. 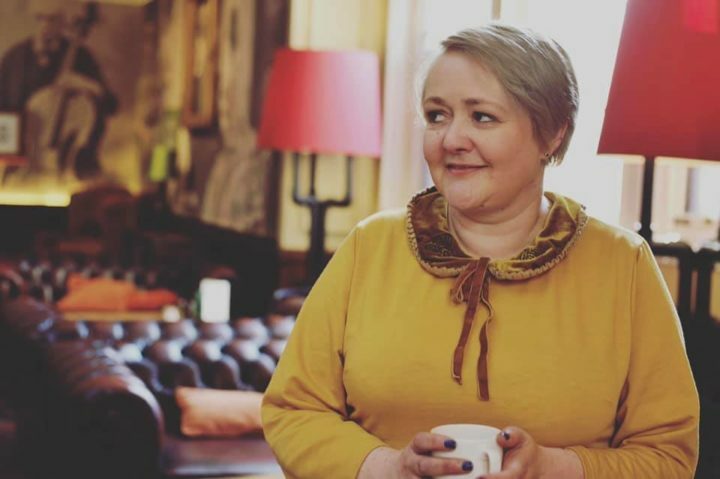 We did have tea in Cardiff at the Cardiff Castle Pettigrew Tea Room and it was lovely. Glad you had such a nice time . I keep saying I need to enjoy more afternoon teas! This looks delightful and very yummy. For me it has to be jam on scone then lots of cream. This looks delicious and has made me so hungry. Oh My! What a lovely tea you had. I must admit that I clicked on your post because I thought you were reviewing Brown’s in London (!) I used to stay there Back In The Day when I was working in the advertising biz, and, consequently, on an expense account. I remember some very nice, very expensive teas there! Oh that looked lovely and what a bargain! Great pics! This looks so lovely I wish I could be there. Looks Delish! I love that afternoon tea tradition.